The Deal is our promise to you. At SkyMerlin Hosting, we work exceptionally hard to meet our client's expectations. Every day we bring innovation, dedication, adaptability and intellect to our projects. In return for your custom, we provide experience in designing and hosting your sites and services. All hosting accounts come with a full account loaded with Softaculous apps installer. All dedicated servers are preloaded with Centos 6/7 but you can choose to install any operating system of your choice. 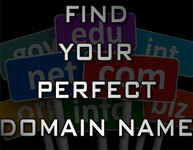 Register your domain name here and create personalised email addresses and your website! Optionally you can just register a domain name and link it to your own server or site. Running a lot of sites then why not try one of our dedicated servers, hosted in datacenters in the UK and USA we have a selection of different servers with specifications to suit all. We now offer many different hosting plans built to suit different scenarios, but with our new system you can now totally customise your plan to suit your needs. Our reseller package enables you to sell on any of our services to your own customers, all of the control panels can be branded with your company name and logos. Why not try out a free months hosting on us, we can you give a temporary address to try-out your new hosting package before you commit to buying. You can now purchase automated backups, by keeping your server backed up you will never run the risk of loosing anything. Why not choose from one of our Virtual Private Servers, desgined for hosting multiple sites and services.